Ethiopian embassy in Khartoum. Copyright Bunch of Backpackers. 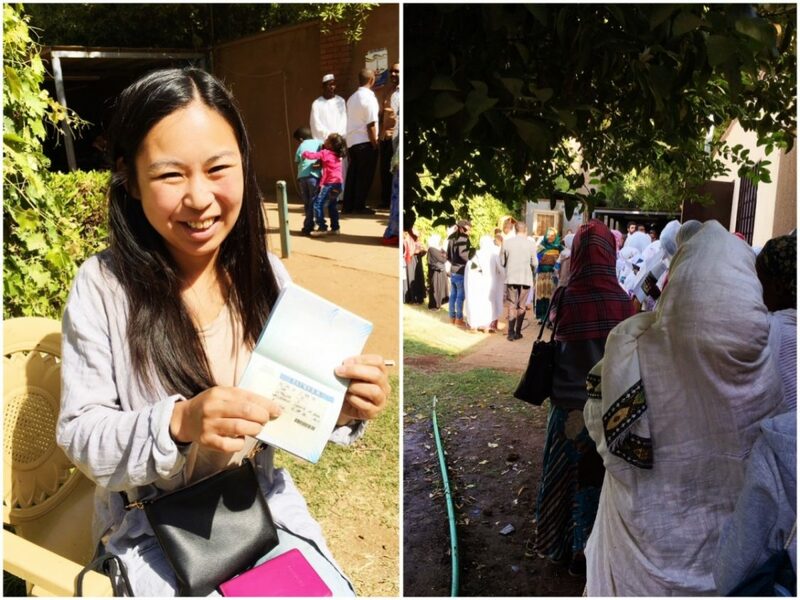 Getting a visa can be a pain, but good news: getting your Ethiopian visa in Khartoum is easy! I got my visa in January 2018. Below you will information about the necessary steps, costs and general requirements. Where is the Ethiopian embassy in Khartoum located? It’s located near the Farouq cemetery in Khartoum 3. It’s clearly marked on both Google Maps and maps.me. 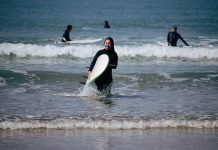 You can walk from the Youth Hostel or the Ozone cafe. Also, most riksja drivers know the address. 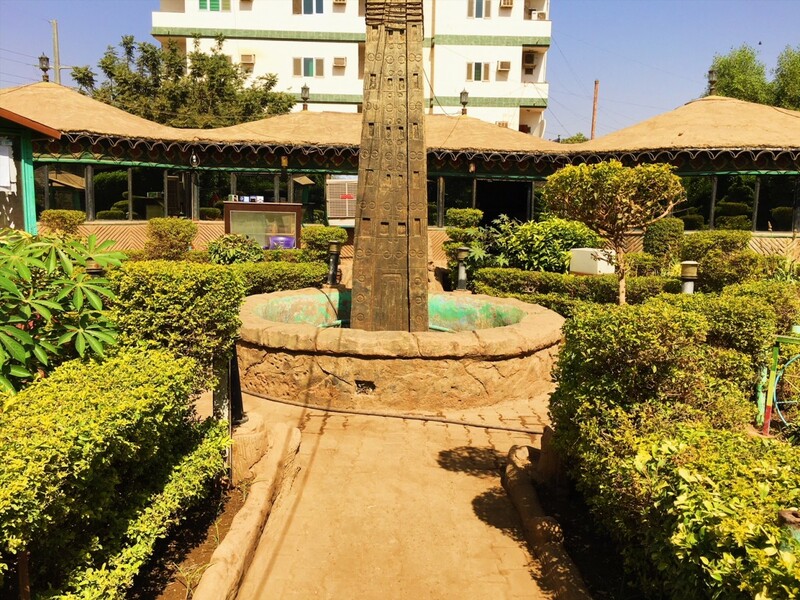 Read more on What to do in Khartoum? What are the opening hours of the Ethiopian embassy? Opening hours embassy: Sunday-Thursday from 08.30-15.30. It supposedly closes early at Monday and Thursday, but I haven’t been able to check this. 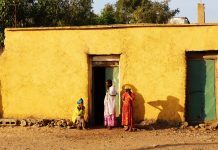 What are the costs of an Ethiopian visa? 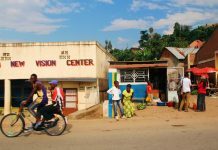 60 USD’s for a single entry 3 month visa. Getting the 3-month visa is no problem. Multiple entry is not possible (I tried, but they really would not give it to me). However, I heard you can easily get a multiple entry Ethiopian visa in Egypt! If I remember correctly, you have to pay in USD’s. At the Ethiopian embassy. Copyright Bunch of Backpackers. 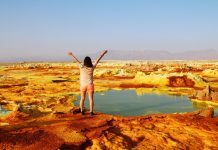 The good news: you will get your Ethiopian visa the same day! Get there early! The embassy opens at 08.30AM. At the entrance of the embassy two lines are formed: one line for males and one line for females. As a foreign female, I was somehow allowed to go to the front of the line, but my male foreign friends did not get this advantage. So, especially if you’re a male, make sure to get their early (07.30 AM)! The line closes after a certain number of people and if you’re too late, you will need to come the next day. When I was in Khartoum, the embassy was incredibly busy every day, but this might have been due to the Ethiopian holiday season. First you enter a small building. Here you’re asked to leave your bag and phone behind. You can only bring your USD’s, your passport and application. Make sure they also give you a card with a number! Then you go to another building. Here, there is a big waiting room. Wait until they call your number and hand in your application and passport. After lots of waiting, they will call your number again, so you can pay the required amount of money. Lots of waiting again. Now a guy will calling your name (instead of your number) and you can collect your passport with your visa outside the waiting room. The process takes up the whole morning depending on how busy it is. It took me 3-4 hours. Make sure to bring a scarf or sweater, because it’s really cold inside the embassy. The Ethiopian embassy also has a nice cafe if you want get a coffee or a lunch! If you arrive in Ethiopia by air, you can use the new e-visa system. However, I heard via-via that one couple were also able to use their E-visa for entering Ethiopia overland. Not sure if this is officially allowed though! After obtaining your visa, you’re ready to head into Ethiopia. I took a bus at 08.30 from Gaderef, arrived at the border at 11.30 and was able to take the last bus to Gonder at 13.00. I arrived in Gonder at 18.30, so even though I left early from Gadaref it was still a long day! 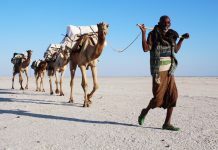 Start selecting and booking hostels for your Ethiopia trip through my favorite booking site Hostelworld and Booking.com! 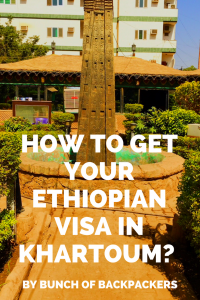 Let me know if you have any questions about getting an Ethiopian visa in Khartoum! Please leave a comment if you have recent experience in obtaining an Ethiopian visa in Khartoum. Thank you for the wonderful site and useful informations. Do you know from which bus station in Khartoum is there a bus to Gadarif? I think the bus station for Gaderef is located somewhere in the South of Khartoum. Ask around you’re in Khartoum. Everyone knows! I asked and i got different answers, thats why is not bad to ask again. :) From what i reckon is the Mina al Berri station in the south of Khartoum. I will check it these days. Thank you Manouk. I ve been to Ozone Cafe and the Yemeni restaurant thanks to you. Very good tips! Thanks. Yay, happy to hear! Mina al Berri definitely sounds familar. Pretty sure that’s the one! Enjoy Sudan! Well, i was today at the embassy and i was refused a visa. (Romanian passport). I spent half a day there, and at least I saw howit worked :) There were two other foreigners, and theirs was accepted. The guy had a list with countries that are ok, and those that are not. I believe that those countries that can get a visa on arrival, would be ok getting one in Khartoum. The others have to apply at the embassies in their home countries. That would not have worked for me, as the embassy for Romania is in Switzerland, and the visa starts from the date of issue. I also had to apply for south africa visa, and i thought that i better do the one that is further away. The south african embassy needs the passport for 5-10 days. Also i needed some time to get to the border of Ethiopia! thought I will try my luck in Khartoum and if not I will find a solution.